Having dogs in your home is an unbelievable experience for children. Not only does having a dog teach children responsibility, empathy, and more, but it also can just bring them joy. Your child can learn how to take care of their dog, as well as learn how to be patient and kind with their animal. While there are so many great things about having a dog around children, there are also many aspects of this relationship you need to be aware of. 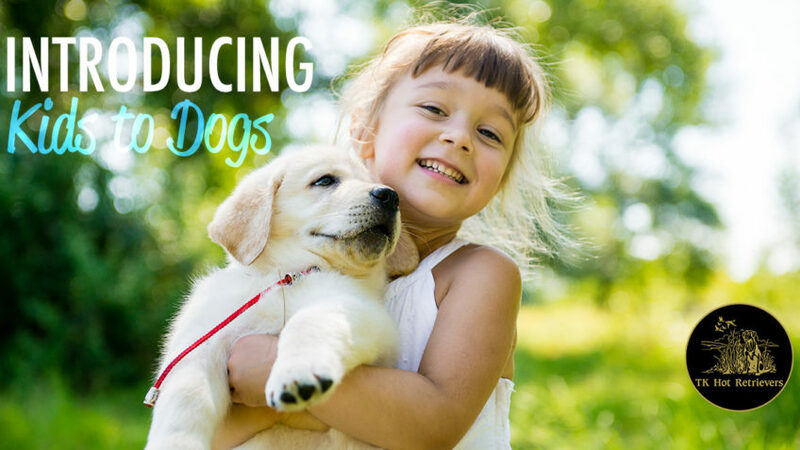 It is important that you take several steps when you introduce your child to a new dog. Even if this dog is not your own and is just a friend’s dog, you should also follow this protocol. Here are some tips to make your next dog-kid introduction go smoothly. You need to do a little prep so that this experience goes well. For one, your dog should hopefully be responsive and have down the most basic commands, like sit, stay, and come. If not, this can make it harder for you to control your pup if something goes wrong. You should also start to do things a child would probably do as you lead up to them coming. This includes stroking them, some light tugging, or playing with the tail. You want your dog to become used to these touches. You’ll also want to make sure you have plenty of treats to give your dog when they are behaving well. On top of all this, you’ll obviously want to be supervising this interaction the entire time. One way to avoid your dog reacting poorly to something your child has done is to teach them how to interact with dogs. You want them to know what upsets a dog or what may irritate them, and therefore encourage them to not do these thing. Teach your child that dogs aren’t toys. Show them things you shouldn’t do, such as pulling their tail, hitting their head, or tugging on them too much. Teach your child that just like you don’t like to be pushed or yelled at, neither does your dog. You can also show your child signs that a dog is uncomfortable, like growling or a tucked tail between the legs, and help them understand that they should leave the dog alone if they show these signs. The key to getting your dog used to be around children is repetition. The more you do it, the more they should start to understand how your child acts and behave around them. If your dog does something bad like growls or barks at a child, separate your dog and the child in different rooms for 30 seconds to a minute. Giving your dog this time out will show what they did was bad, but also give them a chance to regroup and be away from your child. Reward your dog will treats every time they behave well around your kid. If you keep giving positive reinforcement for good interactions, before you know it your dog and child will be best friends. You can also get your child involved in walks, treat giving, and other activities so they are comfortable and involved with your dog. Over time their bond will strengthen and they will be natural friends. Good luck!